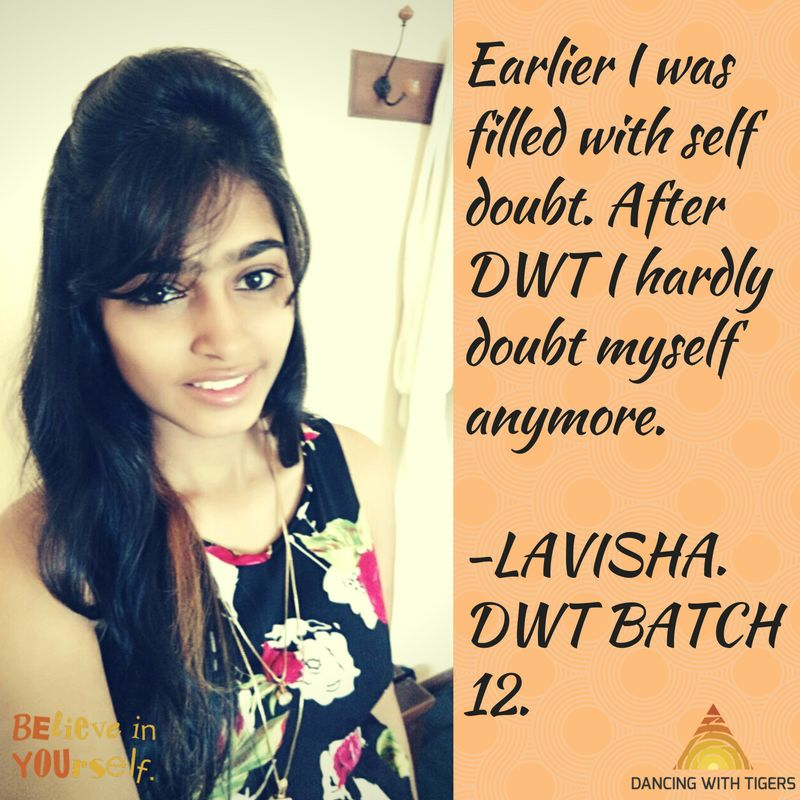 Testimonials of students who have been a part of the Dancing with Tigers (DWT) mentoring program. DWT helped me gain CLARITY about my dreams and GOALS. I learnt to play with my ENERGY and become PRODUCTIVE everyday. Since the camp, I have started waking up early. My SELF-BELIEF has shot up! I practise sitting on silence everyday which is helping me gain FOCUS. 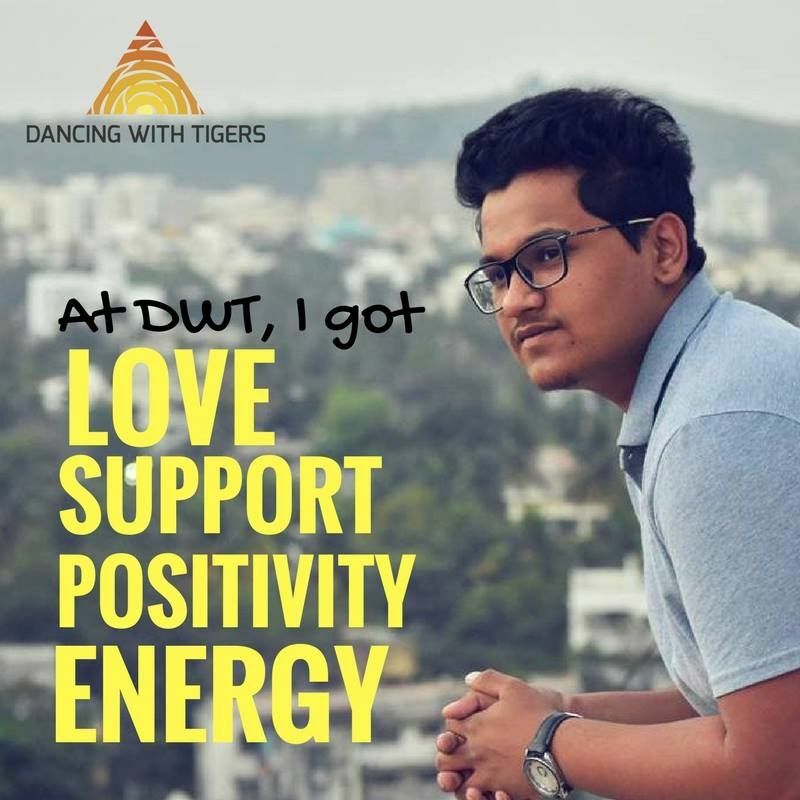 The experience with DWT and Adi has been thrilling! I started IMPLEMENTING instead of just thinking of stuff. At DWT, I learnt to DO! I learnt to RESTART no matter how many times I've failed. DWT taught me how to shatter my COMFORT ZONE! It made me BELIEVE in myself and go beyond my set limits. It helped me increase my AWARENESS. I learnt to be more GRATEFUL and keep my PRIORITIES in check. It made me realise that HAPPINESS is a choice and it comes from within!! 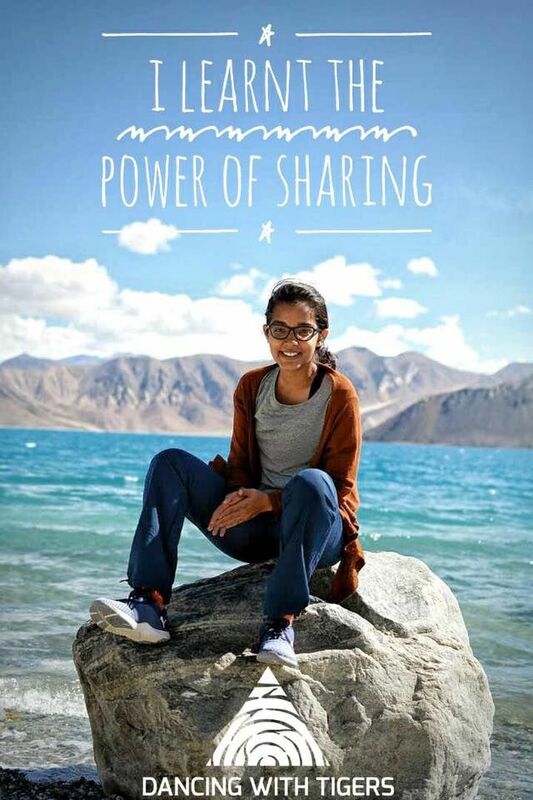 I believe in the wonders of SHARING. I have started to appreciate the value of LISTENING and eye contact. I learn how to be super PRODUCTIVE. I figured that the easiest POA is ’TO DO’ and I am determined to follow it. I was heard, UNDERSTOOD, felt, accepted, looked up to, loved, and respected. Over Thinking lead me to procrastination, stealing away my precious TIME. Thanks to DWT where I learnt the technique to make myself sharp and BOUNCE BACK immediately from a dire situation. Mental reps help me to be in the present and hence I can ENJOY every ongoing moment to the fullest. This has helped me increase my PRODUCTIVITY. 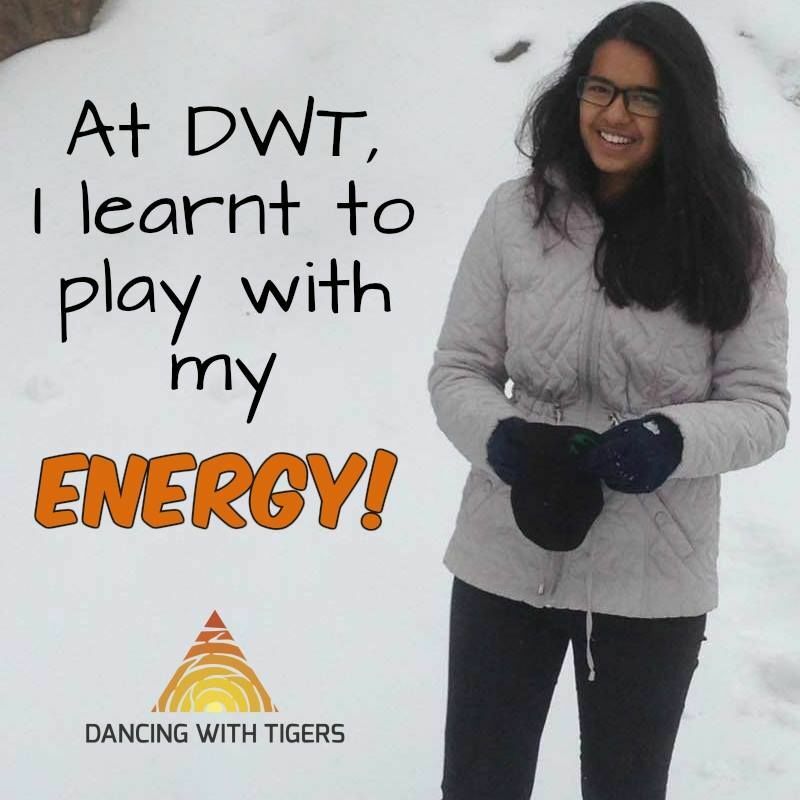 I thank DWT for helping me with ways to increase and maintain my ENERGY level. At DWT, I realised that it is PRACTISE that makes all the difference. DWT made me believe in myself. This camp wasn’t about personality development. It was about PERCEPTION and BELIEFS. DWT changed my perception about myself and my ROOT RELATIONSHIPS. No amount of GRATITUDE for DWT team would suffice. DWT helped me ALIGN myself to what I really want. Before joining DWT, I was not sure about my own goal. I used to get distracted easily and it took away a lot of my precious time. After the camp, I found myself working DILIGENTLY towards my goals. I have been able to UNDERSTAND myself and others better. It also gave me wonderful friends who I would always hold onto. 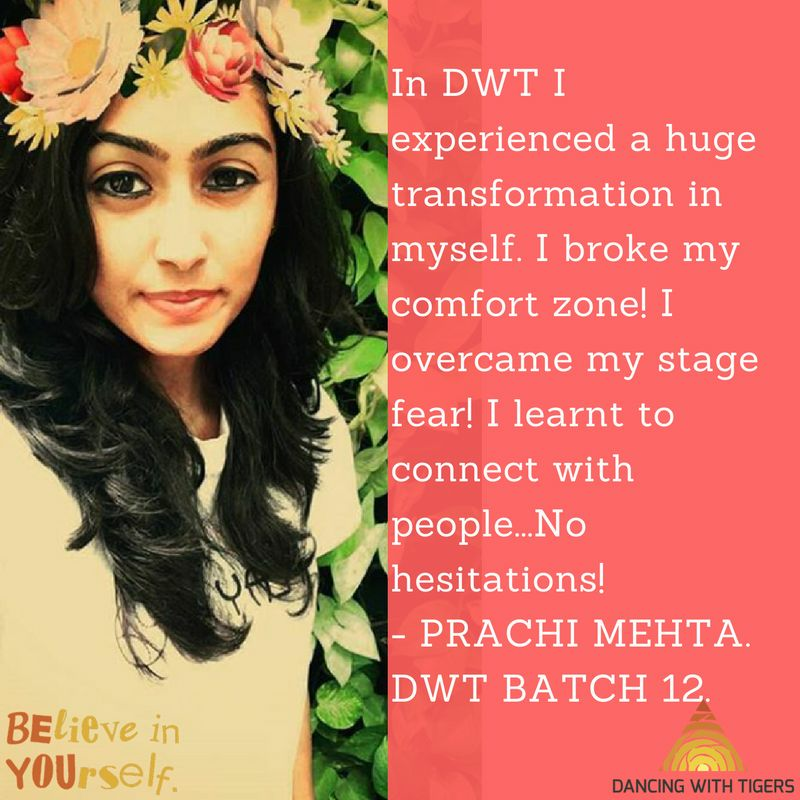 I feel GRATEFUL to Batch 17 and the entire DWT team! DWT is the best thing that happened to me..
At DWT, I got love, support, positivity and energy! After the camp, I put in efforts to make changes in my life with the support of the fraternity. I am privileged to be part of this awesome fraternity and honored to have such mentors! I have had some awesome time at DWT and am looking forward to spend some amazing time ahead! 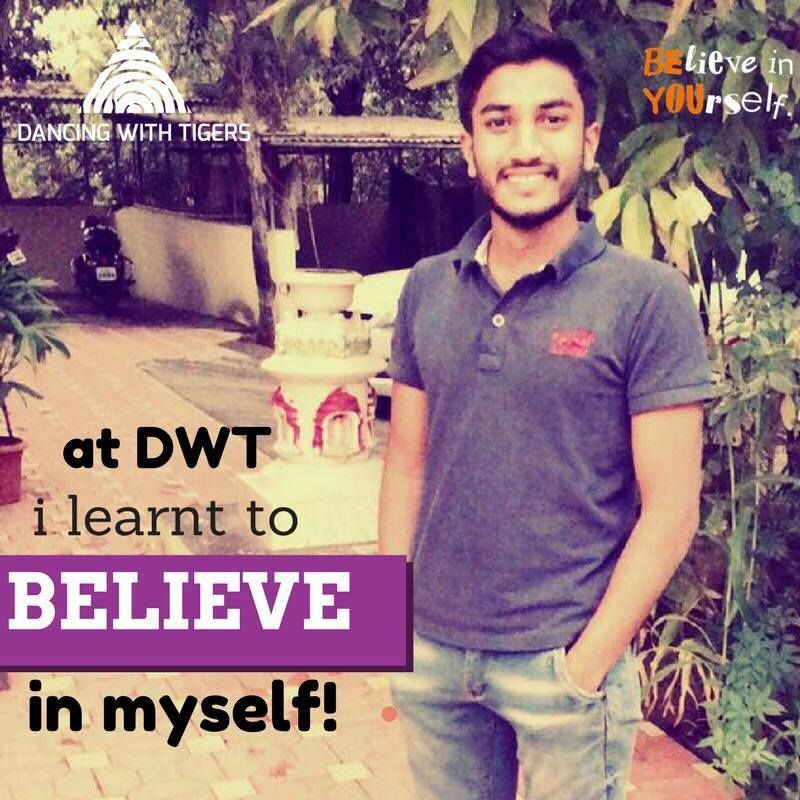 DWT helped me Believe Myself. At the camp, I continuously broke my comfort zones. 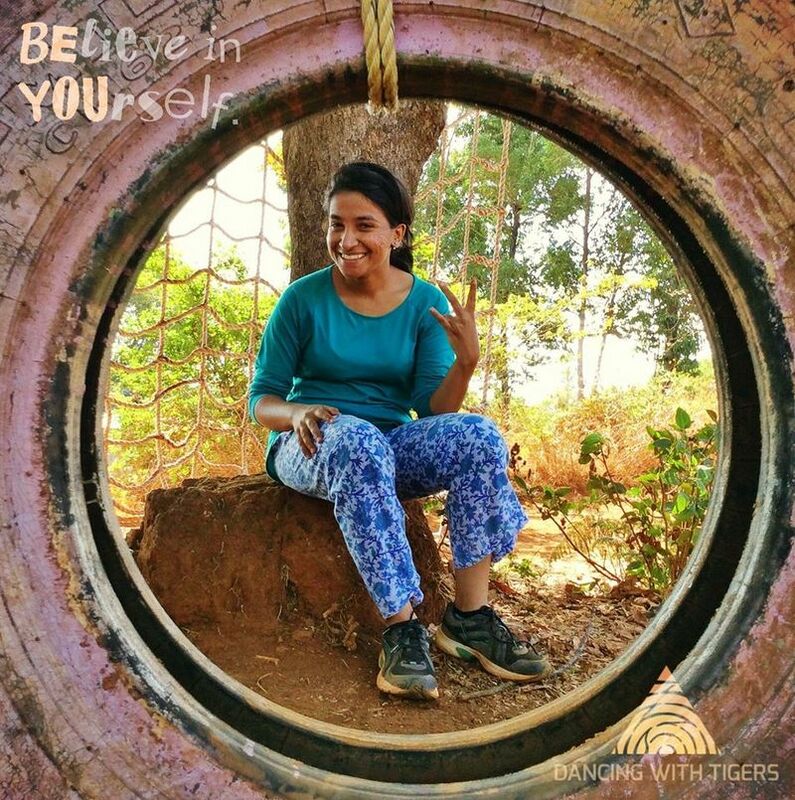 At DWT, I met new people and learnt how to be a team player and get results. I understood how important it is to have a support system to stay motivated. It was a Dream come true to give a speech in front of over 100 people about my own life. DWT made me believe 'nothing is impossible' in this world. Since I have done the batch, I believe in solutions. Now, I feel confident and positive! DWT has changed my life completely. Once in college one of my teachers asked me to introduce myself in a different way. It reminded me of the 1st session of DWT. There was a big difference in today's intro and 1st introduction in at DWT. I have become fearless now. I found a new and splendid version of me! Sejal pre DWT & Sejal post DWT are two different personalities. Thank you Adi for this change! At DWT I got the inspiration and reason to win more titles. I have been racing for the past 4 years. Although I had become better at my skills, I also became slightly overconfident. I had gotten bored of racing and wanted to give up. 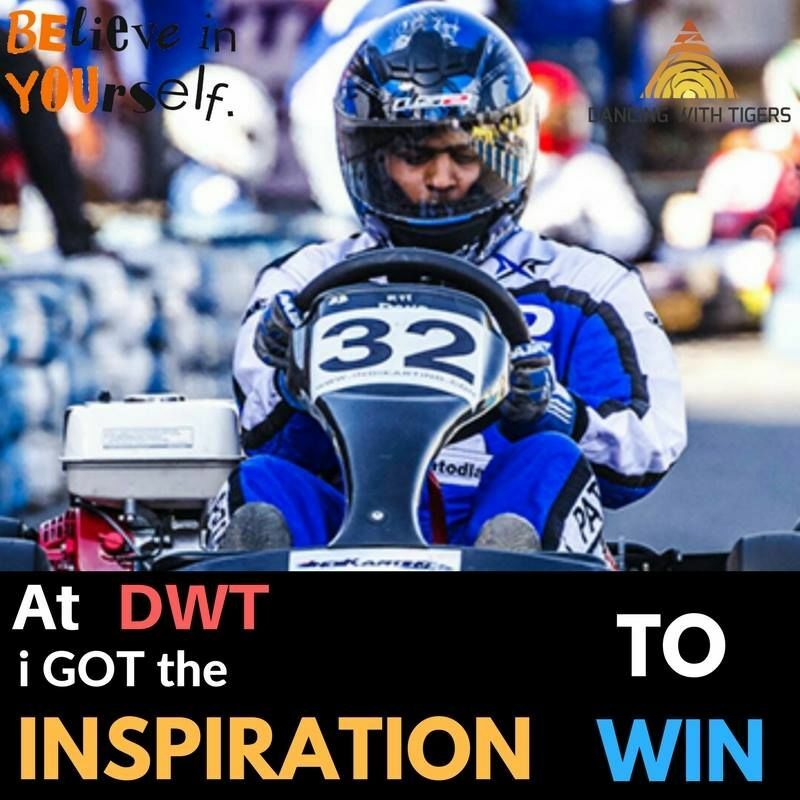 After my DWT batch, I started with testing of karts. And now I have progressed to Formula Cars. Since the camp, I have calmed myself down and directed my aggression towards the track. On weekends I practice and brush up my racing skills and on weekdays I do my studies and assignments. DWT has helped me schedule my studies and racing efficiently. I feel ready to ROAR in the National 2 Stroke Karting Championship and Formula LGB 1300 series in 2017! DWT has changed my perspective of life. Before I joined DWT I was a nervous wreck. I never used to speak much in public. Being judgmental, I never used to mix up and get along with people. Joining DWT is the best decision I’ve taken so far in my life. 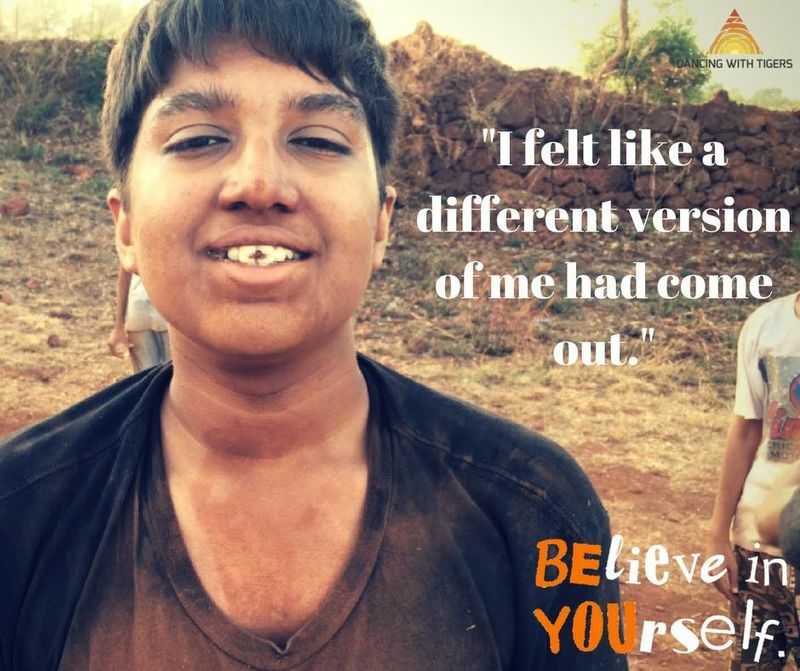 In the 4 day-camp I learnt how to be myself! I learnt how to be free in public and how to speak my heart out. From DWT I have learnt that “Happiness is my choice". And now, I feel happy, I feel free! DWT gave me a Hunger for Speed in life. Before I became a part of DWT, I used to think I'm an adult. I totally opposed the idea of joining any fraternity until my dad literally dragged me to the Lifeschool office. To be honest.. I feel more of an adult now. DWT gave me the Addiction to achieve. Being around talented and inspiring people in DWT inspires me. Hi! I'm Harsita from DWT Batch 15. I joined life school, with a little itch that am I ever going to improve. I wanted learn new things, to finally find a place where I feel motivated, helped, appreciated and most of where there is an atmosphere of positivity. I found myself come home from the camp with a new perspective. I found myself being more positive. I started listening to others points of view. I've started to get my work done on time, and the best part... I’m getting results. I have already started getting positive feedback from people upon the change in my attitude. I have started realising the importance of discipline, freedom, respect and punctuality. Thank you Lifeschool and DWT! I have learnt now that improvement does not ever stop! I keep learning and keep growing! 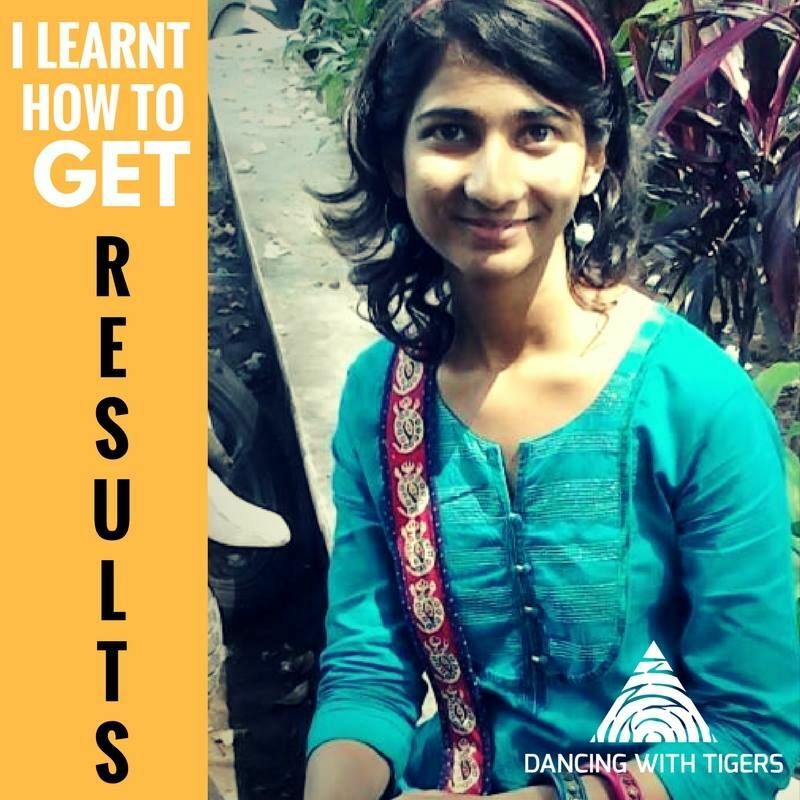 During the peak period of my 12th grade when i was struggling with my studies and many other things, I was introduced to the DANCING WITH TIGERS workshop. Knowing I had less time to study for my boards I still decided to take up the workshop over the span of 4 days, looking back at which I consider it as one of the BEST DECISIONS I’ve taken so far. 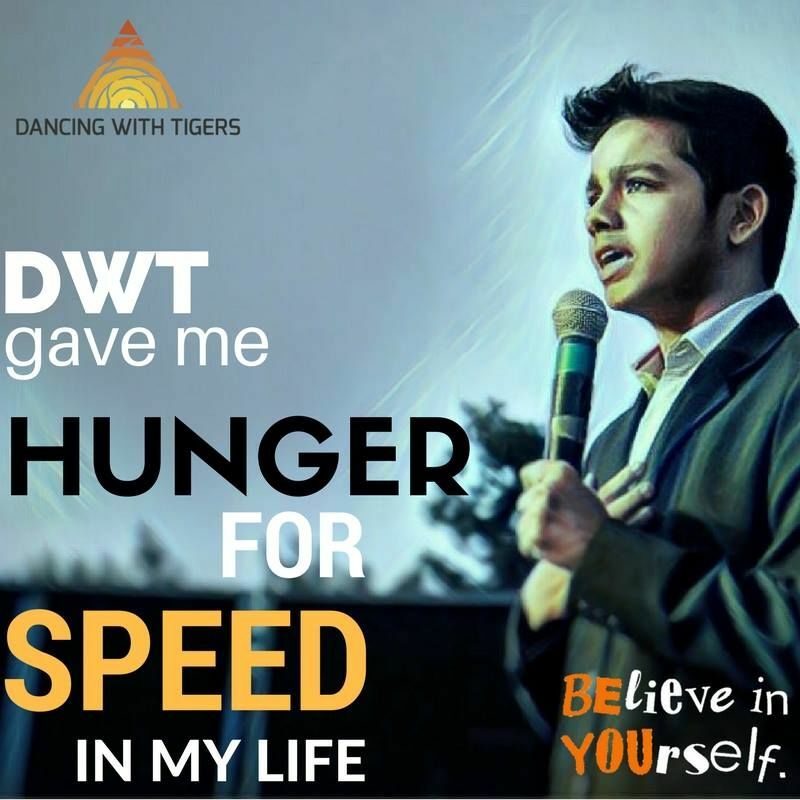 DWT was the platform, which gave me the confidence to deal with uncertainty and empowered me with a number of techniques which helps me FOCUS on important things and gain my energy on every step of the day with a happier mind. 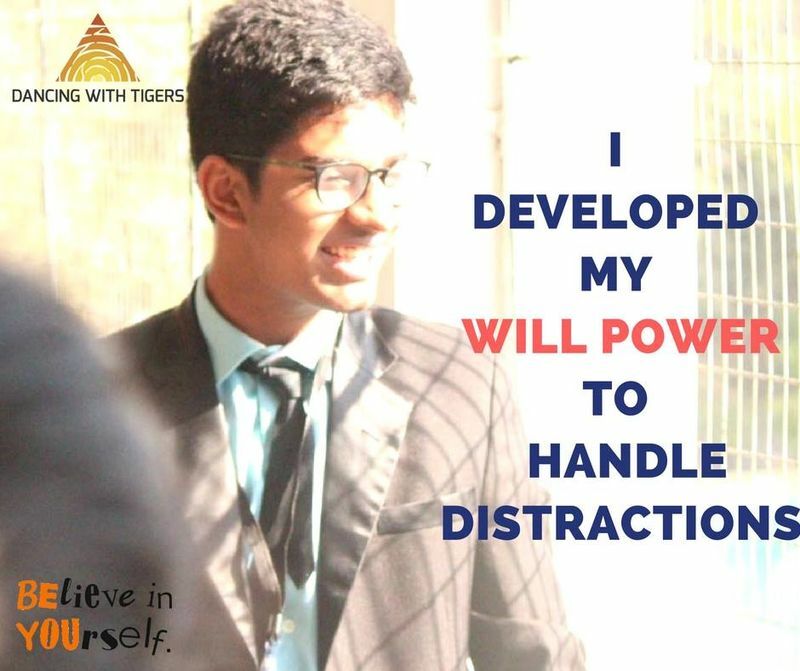 Being a typical 12th grader science student I was struggling to handle all my studies and other co-curricular activities and often ended up mis-managing my time and got into the trap of DISTRACTIONS. As I was super attached to my PHONE I often wasted my study time. I started practising POMODORO TECHNIQUE. This is probably the best thing that happened to me at this crucial juncture. It helps me limit my screen time and restrains me from losing my concentration span often. I have learnt to set SHORT TERM GOALS on a daily basis and appreciate myself as I achieve them and take small steps towards a great success. There were days when I was down and didn’t have the ENERGY or happy mind to do anything but at DWT I learnt that it is MY responsibility to make MYSELF happy! From the day I joined DWT and now, what I am is totally different! If I compare myself from the “Rutuja" earlier, there are many positive changes that have happened in me. Before joining DWT, I couldn’t freely talk to my parents or my friends. I couldn’t open up to anyone or share my problems with him or her. But in the 4 day camp I opened up to all the people who came for the batch and I even shared my problems with the villagers. Now, I feel confident about myself. I can speak more comfortably than ever before. My fear of public speaking is also going away. I feel more daring. Since the camp, I am feeling more positive about myself. I have become punctual and I am consciously working on my anger issues. I have stopped overthinking. I practice “Nadi Shuddhi Pranayam" and “Body Rock Still" everyday! I am taking out time to do things that I love doing, like painting and I am also spending more time with my family. Not only my mind, I have started focusing on my physical fitness too. My daily routine includes waking up at 06:00 am and going for a run. At DWT, I learned a new perspective of life and in future want to keep on learning more. I no more believe in trying. My mantra is “I Will". DWT is actually one of the best things that has happened to me! At first i just didn't want to join. I was adamant! But now.. i just don't want to leave. 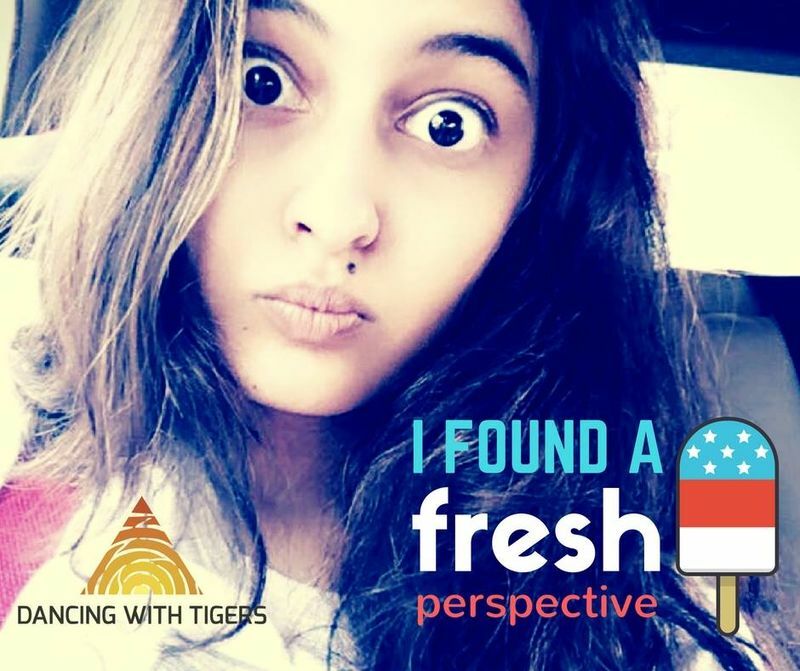 Dancing with Tigers has brought a big change, a positive change in my life. Earlier, I was a really short tempered person. But with DWT I know how to control my anger and deal with it. Public speaking was a NO NO for me. But at the DWT sessions, I had to share my take aways, my views, my ideas and FINALLY at the roar event i spoke in front of 100 people. Ahaa!! Now I'm more confident. I socialised. I interacted with new and different people. I got a great mentor! 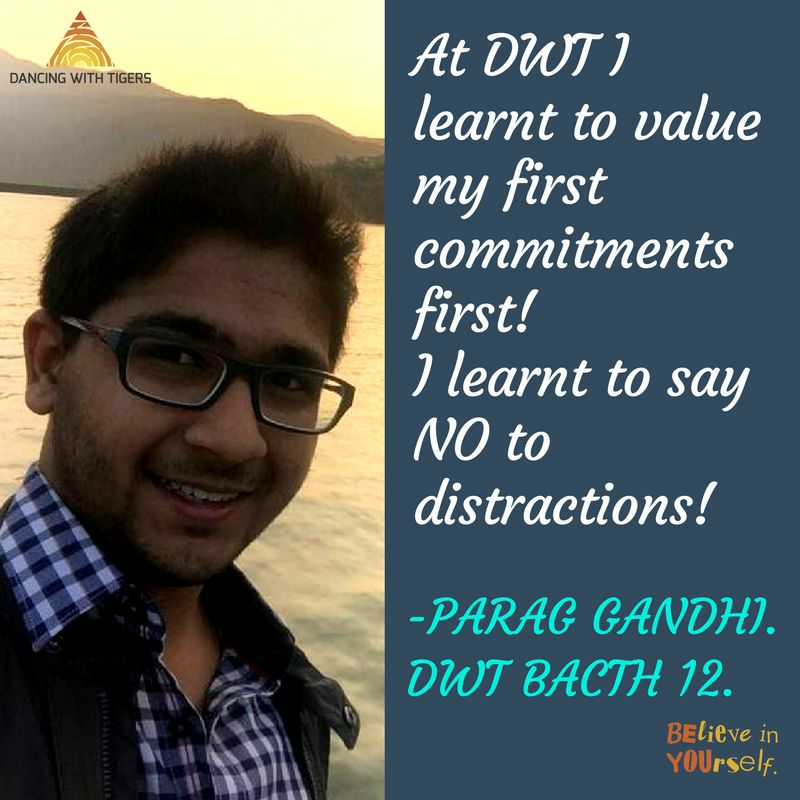 I'm really happy to have done DWT batch and be a part of this big family of youth. Thank you! Std XIIth student aspiring to be an Architect. I got to know about DWT from my cousin sister and wasn’t really sure to do it or not. But after meeting Adi for the first time my view started to change. The energy he had and the way I was able to connect with him was amazing. I was very nervous before we left for the boot camp, plus I had no gadgets with me. But all of it disappeared after we reached the camp! At the end of the first day I knew that this is one of the best decisions that I have ever taken and these 4 days are going to be some of the best days in my life. Adi gave us lovely tips and insights that changed the way I saw everything. During the 4 day he made me push myself for which I was really mad at him, but after I was able to successfully complete them I felt wonderful. I felt like a different version of me had come out, one that I loved. I look forward to every single Huddle session. I love listening to what DWT has to say. Every huddle changes the way I look at one aspect of my life. I can say for sure that DWT is a must for every youth! 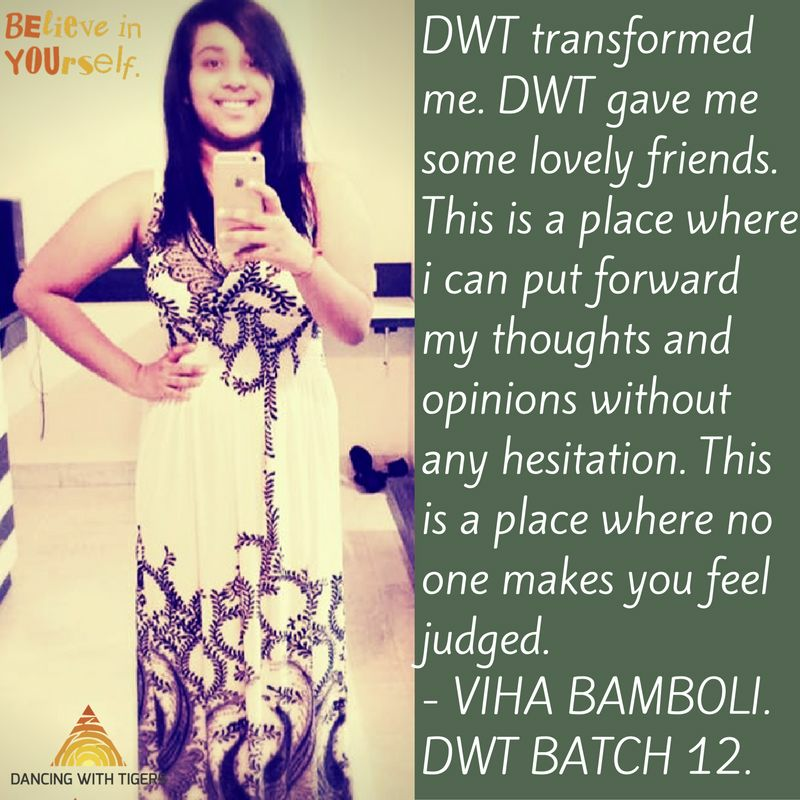 I am a part of DWT batch 12. It was amazing and we had a lot of fun! We realised tht life is very easy, we just make it hard. We discussed about all the problems students have may it be education, focus, discipline, family and the list goes on and on. After this workshop I spoke with 2-3 people and asked them how I have changed. The reaction was amazing! People said "iska gussa na kam hogaya hai", "jyada organised hai", "sab ko Khush rakhi hai". The best part is I learned that "the way u communicate can get everything done". 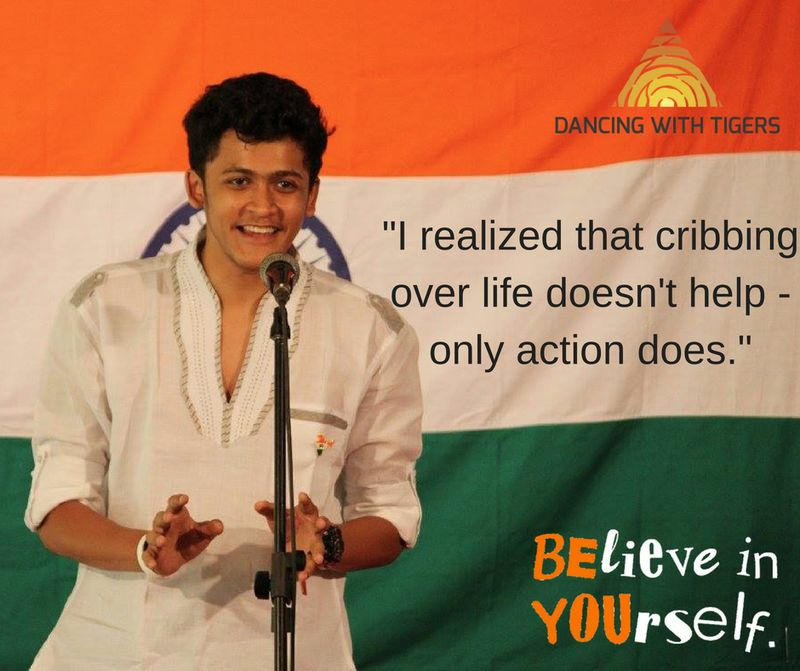 I also realised that "cribbing over life doesn't help - only action does!". I also learned the pomodoro technique for improving my focus on academics and hobbies. I started with 4 pomodoros a day and now I can do almost 10! Feeling on top of the world. It makes everyday of mine really productive and enjoyable as well. DWT has changed the way I look at people and also how they look at me! I was a part of DWT Batch 12. It helped me find an edge in life and set my priorities right. I made friends from many different streams. 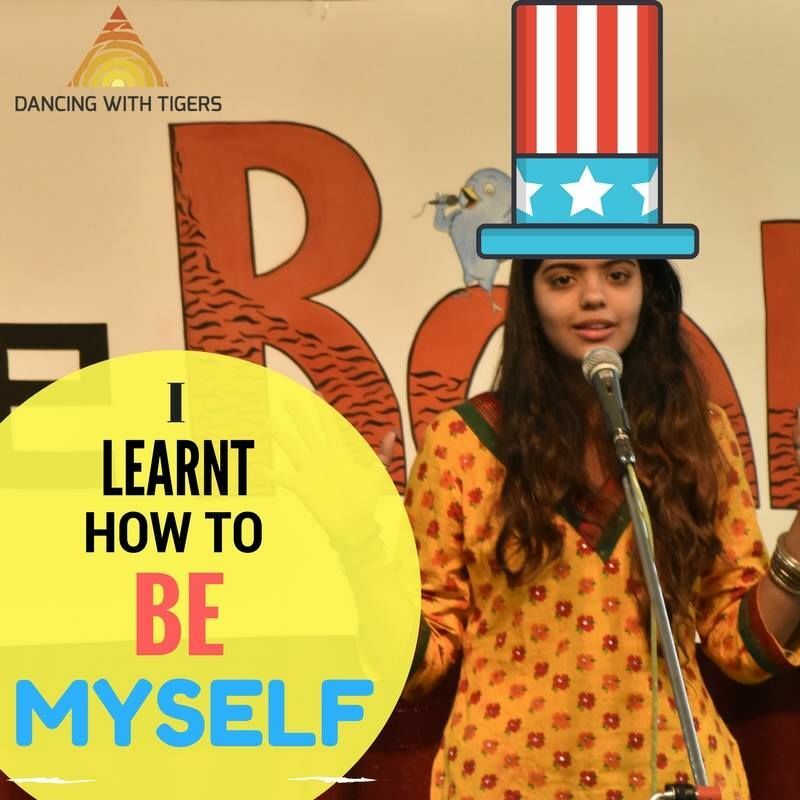 It helped me improve my communication skills and public speaking. We had some amazing exercises which helped us break our comfort zones. 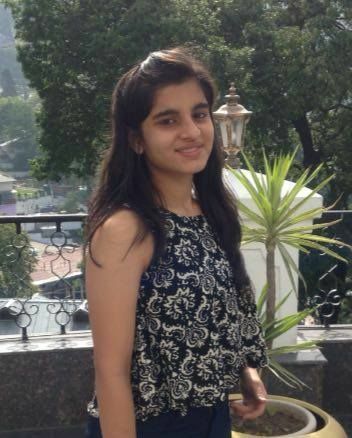 I have chosen architecture as my career and being a part of DWT helps me a lot as I learnt to implement time management, leaderships qualities, and the importance of smart work. All in all, DWT was a great experience for me! This was my reaction when I saw the place where we were supposed to have our session. We were all unknown to each other. Initially, it was a bit difficult for me to mix up with everyone. That weekend we all became very good friends. We could actually share everything and trust each other. There was a vast difference in me after the 1st weekend itself. Next two weeks we were given a task to exercise regularly. I did it but also skipped some days. The last session we had was feedback. We had to give and take feedbacks from everyone. I think this really impacted me. 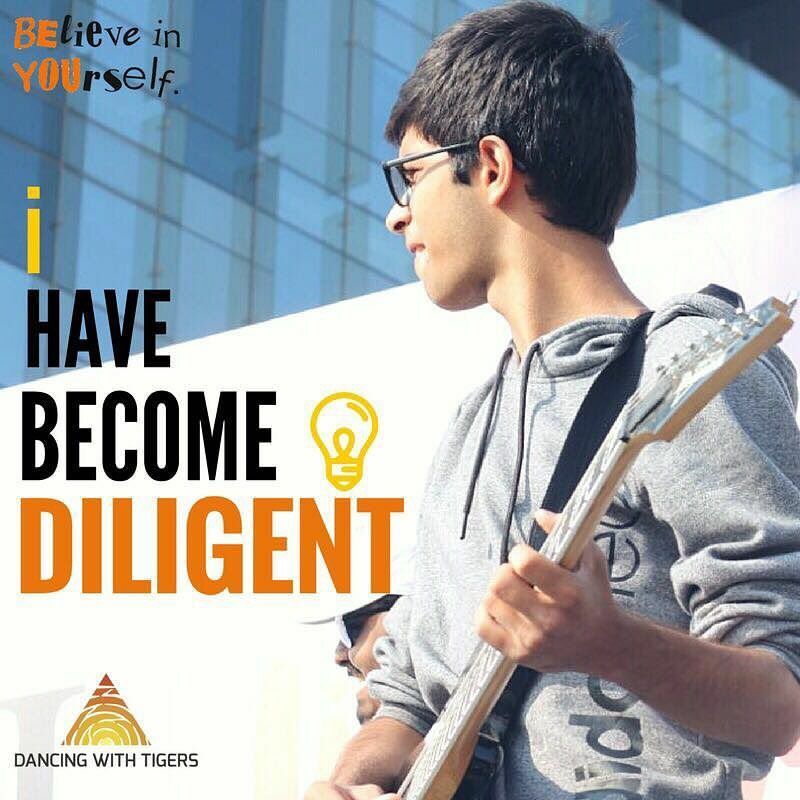 I started believing in myself. Earlier I used to doubt myself for everything. I hardly doubt myself now. So I thank all my DWT mates for helping me do this. "Muzhe ye kaam Abhi nahi karna hai.. Ise mein badme kar lunga.. kya hai kya ye? Ittusa toh hai ye.. Aise hojayega aise.."
This habit of procrastinating things was a part of me before DWT. But NO MORE. I learnt to value my first commitment FIRST, and say NO to other distractions. I learnt to get over failures and hit them back with a bang! DWT teaches you a lot of things. It not only helps you in analyzing your strength and weakness, but it helps in building them up too. It does help you to break down your comfort zones and come out! I am no longer scared of public speaking! I learnt to being accountable to myself. DWT is a program that increases your EQ a lot. It's just not restricted to those 4 days but it goes year long. Every alternate Saturday you have a huddle and you learn new things and that's amazing!. 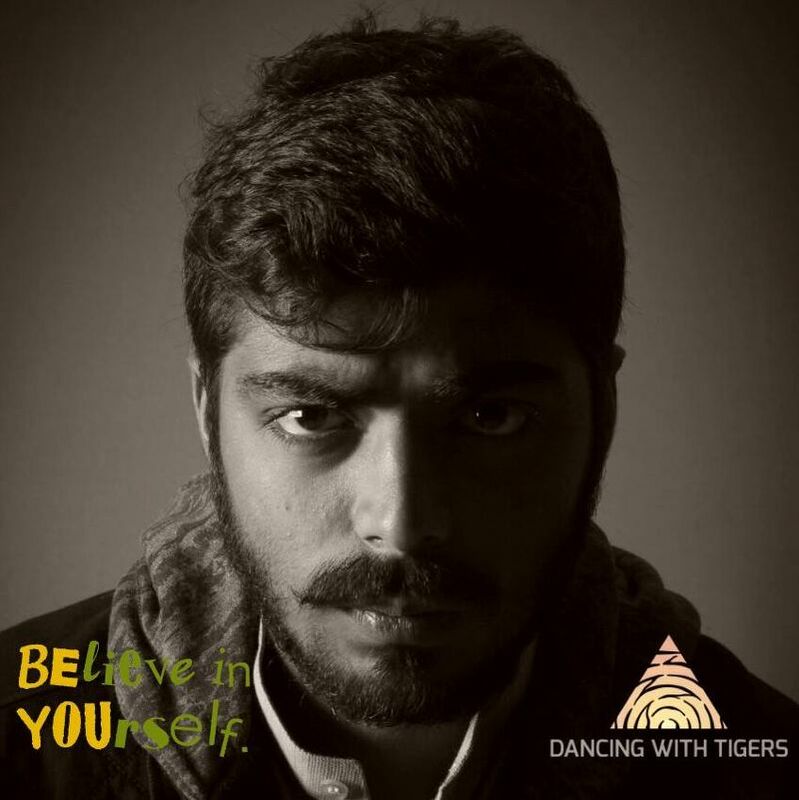 Dancing with Tigers is such a platform where you can actually talk about all your life without any hesitation. 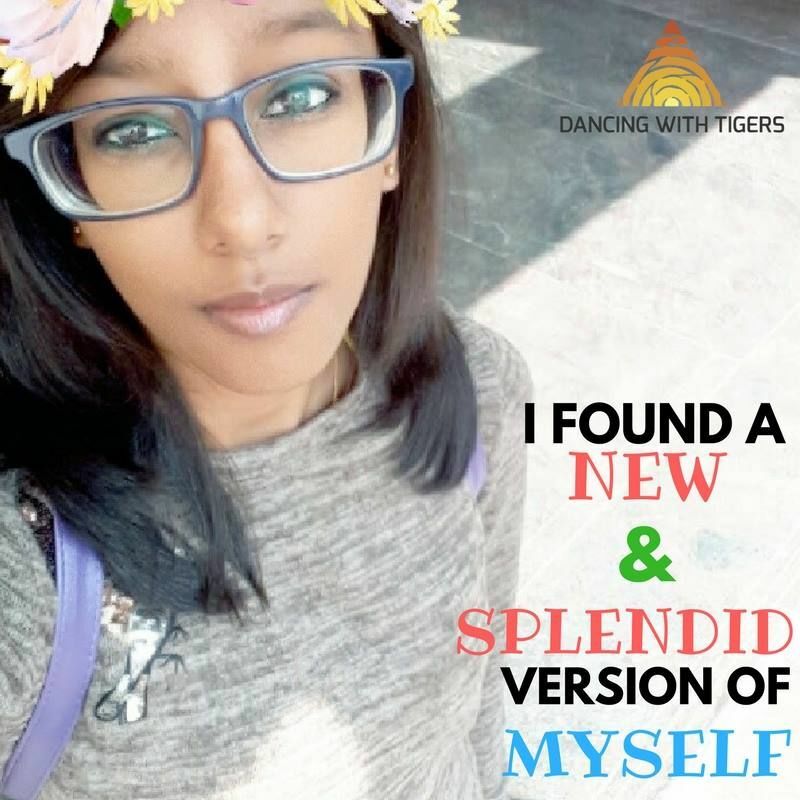 I would love to come back again and again because you keep getting transformed every time you be a part of this amazing 'DANCING WITH TIGERS'. I , definitely got a great mentor who no matter what happens doesn't loose faith in any of us. Thanks Adi..!!! Moreover this place not only made be transform myself but also gave great friends. This is the place where you can put forward your opinions without any hesitation and the best thing about this place is no one judges you. Had an amazing and unforgettable experience..!!!!! I want to keep coming back! DWT is a programme that brought a huge TRANSFORMATION in me. I got to know myself even better. And I found another family! In the start I was not that keen to join but after the first session itself, I really got excited and wanted to learn more and more. DWT helped me to break my comfort zones. From a complete introvert, I became a bit extrovert, I can make friends easily now, I can control my anger and irritation. I started working on my DIET and strength which was a huge task at first but now it’s a piece of cake. During our batch event "THE ROAR" I found a new me! 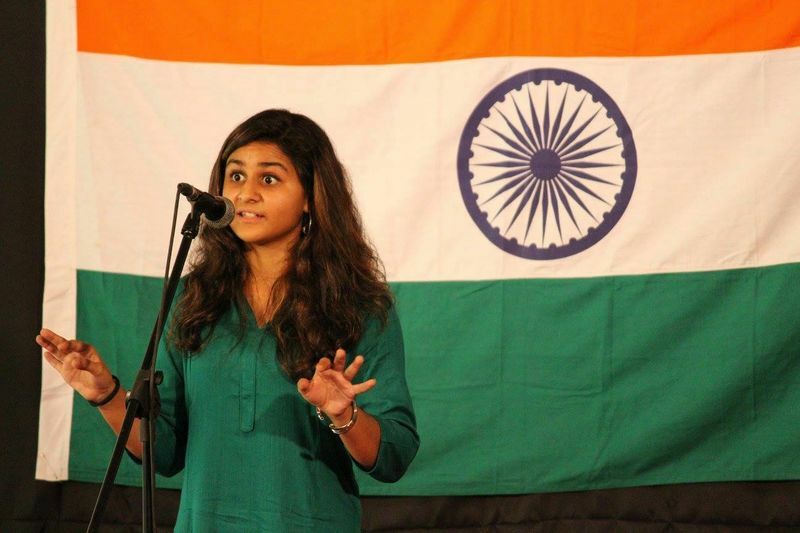 I overcame my stage fear and delivered a powerful speech which was a huge task for me. I was able to handle things easily and connect with people with real ease without hesitation. My parents are super happy and overjoyed seeing this huge change in me, and this is all because of DWT. 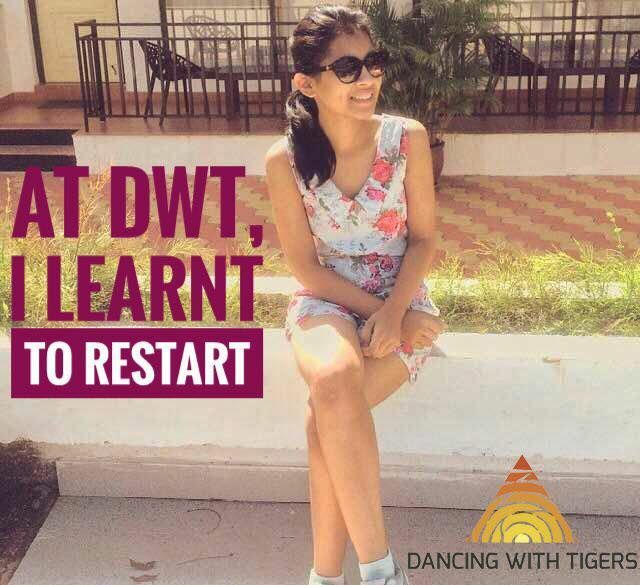 I want to keep COMING BACK - Dancing with Tigers is one such programme. I attended DWT and I actually went through a TRANSFORMATION. I learn’t to get the best out of MYSELF in so many ways. I found myself a MENTOR. After DWT, mediocrity is no longer an option for me. My COMMUNICATION skills and 'emotional quotient' have increased drastically. Talking in front of a crowd has become a piece of cake. And that's pretty awesome for me! The best part is, DWT doesn't really get over, I can keep coming back every two weeks and SUSTAIN my growth and FUN! I was trying to run away from the question "when do you want to join Dwt?!". I knew it was coming and the day it came I told my dad that I didn't have time to do these things (an excuse architecture students use very often). Then after a while he comes and suggested me to meet Adi. I took the suggestion thinking that I would tell this Adi the same thing I told my dad and get it over with! Adi came home . I decided to join DWT! Now was the time for the next step. THOSE four days completely changed my perspective. I realised that being HONEST to myself really brought out the best in me. It helped me get rid of my fears and GUILT. It made me HAPPY and those around me too. I realise that HARD WORK is something everyone has to do to succeed. There are no short cuts. I noticed during an exercise taken by adi that my best achievements have been made during my worst struggles. That does say something, doesn't it! One important thing that I took from DWT which I have started and will continue to imply in life is MEDITATION. Meditation makes me aware of myself, my behaviour. It helps me to get rid of negative feelings and stay focused. On the last day of the workshop, Adi told us to write a GRATITUDE letter to our parents. I wrote I nice long letter in my best handwriting. I waited for two to three weeks when I finally decided to just read it to them. When I did my heart felt so light! I could see the happiness and pride in their eyes. (I think I saw my MOTHER’S EYES welling up but I am not sure. Don't want to get too excited!) My dad told me that he'll frame the letter and put it in his office! That day I was on cloud 9. I could've never done these things had it not been for Dwt. We youngsters don't feel the need to EXPRESS LOVE, and often take everything for graunted. But, in life it's important to express our feelings. I came to Dwt as a person who was scared of life. I wanted something from Dwt and it has given Me much more. It has made me a HAPPIER PERSON and has given me the ability to make those around me happier too. A year back I was forced by my aunt to do DWT as my sister was doing it but I refused. But later, after experiencing the Lifeschool Sports Convention, I felt I could prove myself and OUTGROW my LIMITATIONS. 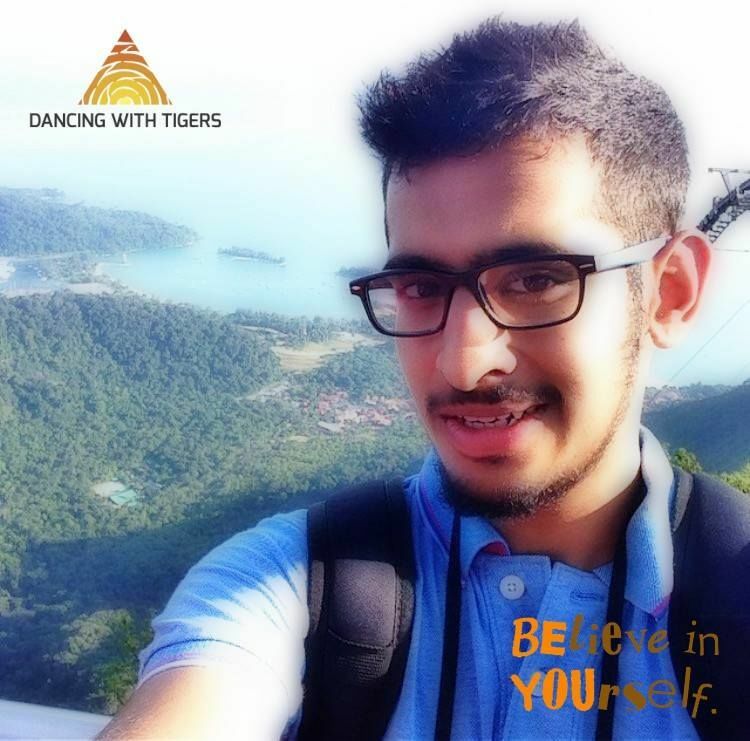 At DWT I learnt about SELF BELIEF, self AWARENESS, overcoming FEARS and lot more. My approach towards things has now started becoming positive and FEARLESS. Inspite of the hyper person I used to be, I can now actually STAY CALM and analyse the situation and then react. I met many new positive FRIENDS who I connect with regularly at the HUDDLES. I also started having a better bond with my PARENTS. 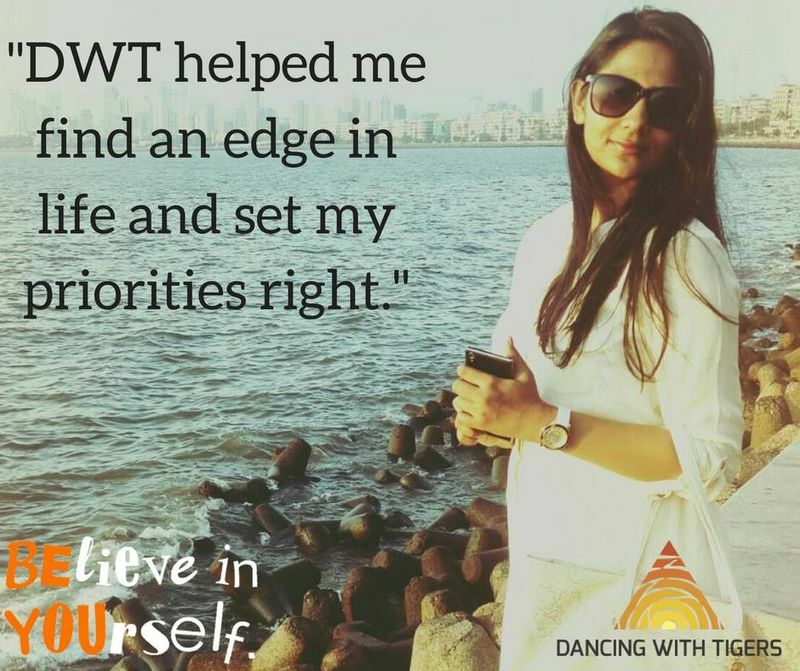 At DWT, you will find MENTORS who will take super care of each one of you who are a part of this program and help you to become a rock-star! Thank you DWT for making me a part of such a wonderful experience. Student of Mass Communication and Photography. The only reason I joined DWT was because I wanted to break away my comfort zones and interact with more and more people which I otherwise never did. DWT was a perfect place to find people of my age, with whom I could share my ideas with and open up. This is one of d best things that happened to me, I am a very different person now. I have plenty of friends, my relationships have improved, I have done things that I believed were impossible for me to do and I have realised that "I am what I think". 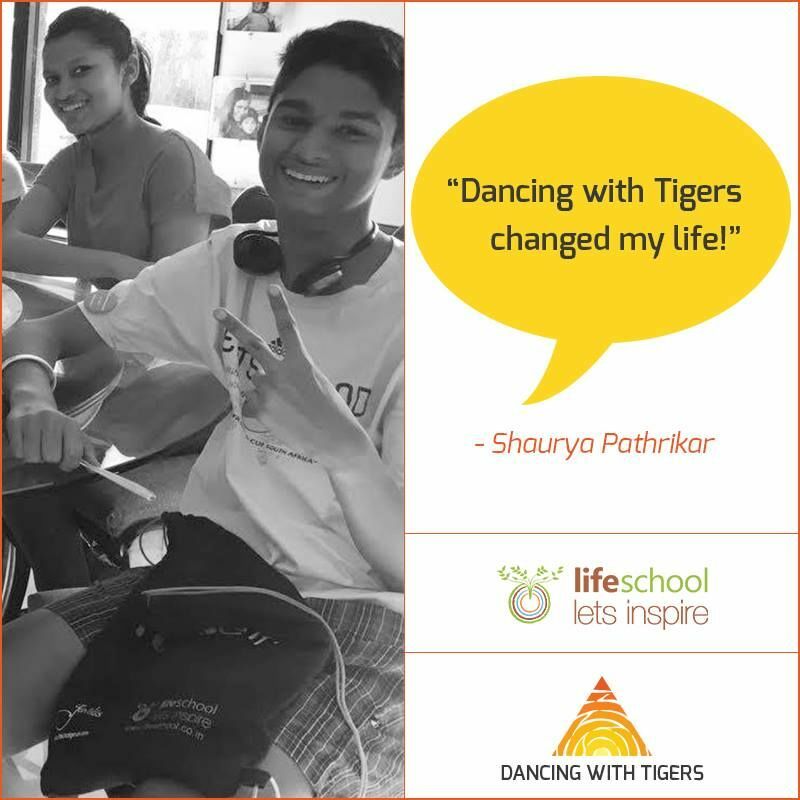 I feel that all youngsters must experience Dancing with Tigers because it is a life changing experience and helps develop self-belief and confidence! DWT10? 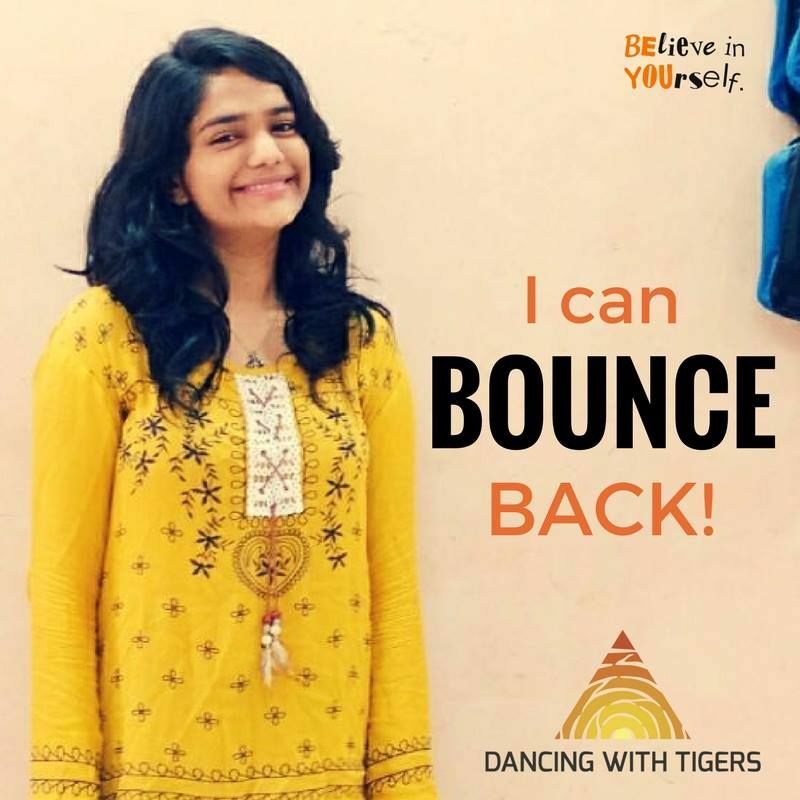 : Dancing with Tigers changed my life because I learnt how to break my comfort zone! I developed confidence and found a connect with my inner self using meditation. 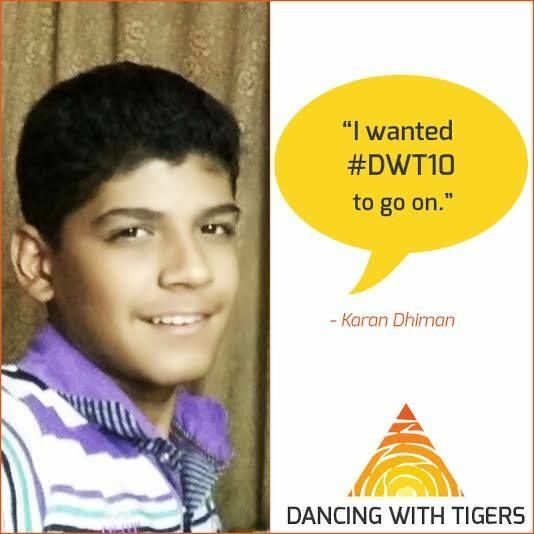 DWT10 buddies: Jayant. We are still on Whatsapp! My #DWT10 highlight: Working with big teams and learning how to lead. I wish DWT would go on and be longer. An app that describes me: Clash of Clans. It’s a strategy game.